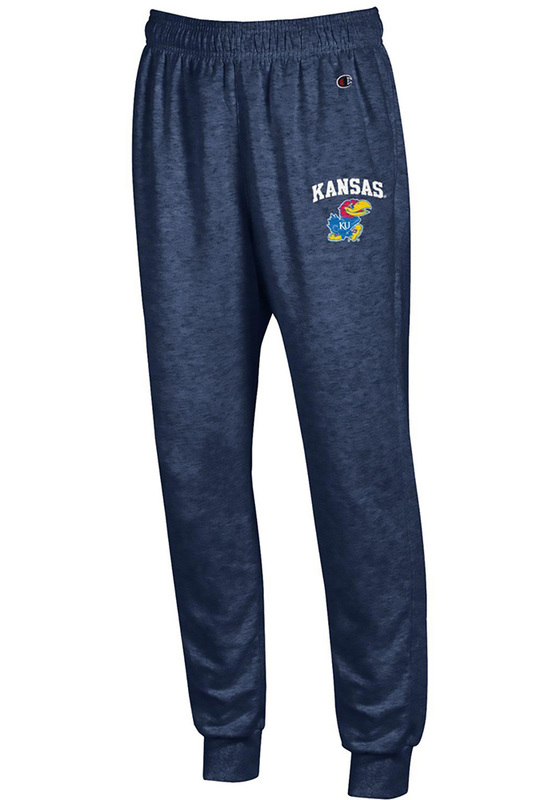 Get cozy in these Kansas Jayhawks Navy Blue Champion Team Powerblend Sweatpants! Whether you're relaxing watching the game or just out running errands, these KU Jayhawks Sweats are the perfect way to show your Jayhawks spirit in comfort and style. These Kansas Jayhawks Sweatpants also feature a Screen print of arched team name with team logo.